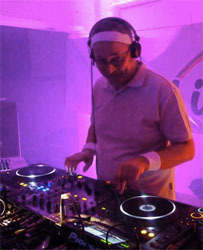 DJ Max in Action at the Out In The Park after party 2016. Having a Wedding? Having a Party? Need a DJ? Need Timeline Advice for your Wedding or Event? It’s a Wedding, a Party not a Radio show! To conclude, you need a professional to weave together your favourite music, to customise a musical experience based on the likes (and dislikes) of you and of your guests. An iPod just can’t do what a good DJ can. From the first guests to arrive, through to the last dance, I will make your event fun and memorable, I will bring the party!